WICRICNEWS – The West Indies Cricket Board yesterday announced that all-rounder Jason Holder has been appointed West Indies One Day International Captain. The 23-year-old Holder takes over from Dwayne Bravo. WICB thanked Bravo for his service to West Indies cricket in the capacity of the ODI Captain after taking over from Darren Sammy a year ago. The recommendation for transition of the captaincy role was made by the Clive Lloyd chaired Selection Panel and was approved by the Board of Directors. Lloyd said that Holder’s appointment was with an eye to the future. 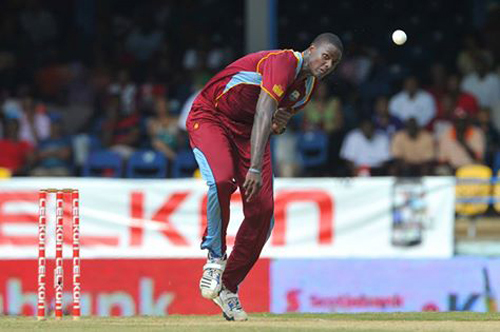 “Jason is one of the good, young players who we believe will form part of the long-term future of West Indies Cricket. We expect him to be around for a very long time. He is a young man with a very bright future. We have invested in him. He was part of High Performance Centre and he also played for the West Indies Under-19 Team and the West Indies A Team,” Lloyd said. “He has played ODIs for the West Indies before and has done well. We know he will continue to grow and demonstrate leadership. He has a very good cricketing brain and has the makings of a very good leader,” said the former legendary West Indies Captain as he gave the stamp of approval to Holder. Holder has appeared in 21 ODIs and has taken 29 wickets. He is highly regarded in his native Barbados and the wider Caribbean as possessing an astute cricketing mind and desirable leadership qualities. He previously served as Vice Captain of the West Indies A Team. Holder has also appeared in one Test and a T20 International. His first assignment will be the West Indies five-match series in South Africa which follows the Test and T20 series.